One of the biggest struggles most small business owners face today is getting the right people to their website. Sure, it can be exciting to see a lot of traffic on your site, but if you aren’t getting the right people (your target audience) visiting the site, then it’s not going to help increase your income. Consider this. If you have 500 views per day, but only 20 of them are people who would use your products or services, your time spent attracting the wrong people is wasted. 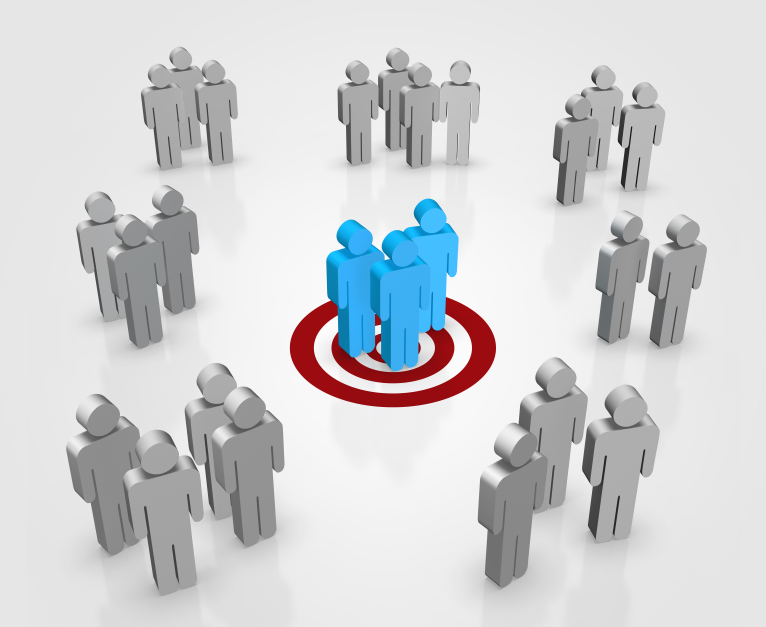 The key to success is finding your target audience and directing them to your website. Those leads, once nurtured, can eventually turn into customers. And more customers mean more word-of-mouth referrals, which means more business, and ultimately, more revenue. So How Do I Attract My Target Audience? The first step is to make sure you are producing top-quality content. If you are putting it out there, you better be an expert on that topic. Being authoritative in your niche is extremely important. No one wants the second best carpet cleaning company – they want the top expert in town — the certified company they can trust, that all their neighbors love! Along with quality content, you must optimize every post for SEO. You want your content to be the first thing that comes up during a Google search. Keywords are important and using them correctly can be the difference between potential clients finding you and converting into a sale or being buried on page seven of the results. How often do you scroll through several pages of search engine results until you find the post you like best? Yeah, neither are they. They are looking at the top few search results and if they don’t find what they’re looking for, they’ll adjust their search instead of scrolling through several pages of results. 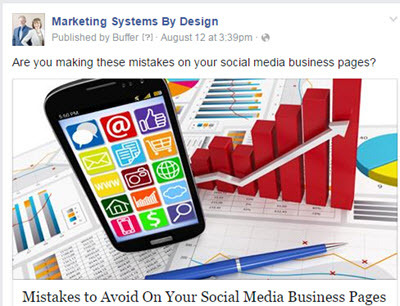 In the example below, notice the two keyword phrases: “mistakes to avoid” and social media business pages”. Each phrase is used in the title, in the URL, and in the description. This increases your chances of being ranked higher for your main keyword phrase. Every time you have a new blog post or add new content to your site, amplify it in your newsletter and on social media. Come up with compelling reasons your followers should read this new content, because if they don’t find it interesting, you won’t get them back to your site. Use industry-specific and other appropriate hashtags to get more people to follow. Many people search these hashtags looking for information or to connect with someone who can help them. If you are constantly posting quality content and sharing it on social media with hashtags, your target audience is sure to find you and follow you as well as visit your site. It’s one of the easiest ways to get people to your site. To get even more exposure for certain posts, consider advertising on Facebook. 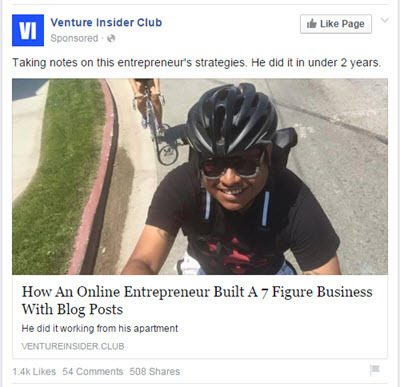 Facebook is the number one most used social media site and has a very intelligent ad platform. Once you select what you are looking for, your ad automatically populates into newsfeeds of your target audience. It is an inexpensive, direct way to find people who are looking for businesses like yours. On your quest to attract your target audience, you have one thing going for you that you shouldn’t overlook – your current customers. More than anything else, they are the gateway to growing your business. Happy customers are usually thrilled to endorse your business and to recommend you to all of their friends and business colleagues. Use them to help you. Ask for referrals and offer a reward to those who send friends and colleagues your way. Ask them to pass along your card or contact information and direct their friends to your website. Of course, you may want to throw something their way if they refer enough people to you. Doing small acts and going out of your way to show you appreciate them only makes them want to help you more. Word of mouth is the single easiest way to attract new clients. Another very easy thing to ask them to do is to share your content. Whenever you post new content, encourage your current readers to share the information on their social media pages. It takes just a few seconds of their time, and your followers and customers should be happy to support you. If you want to direct your targeted audience to your website and then ultimately become a customer, then use a combination of all of these best practices. Always produce high quality content that is relevant to your business and your services. Once you have that content produced, you should be sharing it across all of your social media channels and email newsletter. Finally, you should ask your current clients for referrals and social media shares. If you do all of those things, you are sure to hit your target audience so you can grow your business. For more best practices on generating leads and finding your target audience, take a peek at some of Marketing System by Design’s other helpful blog posts.